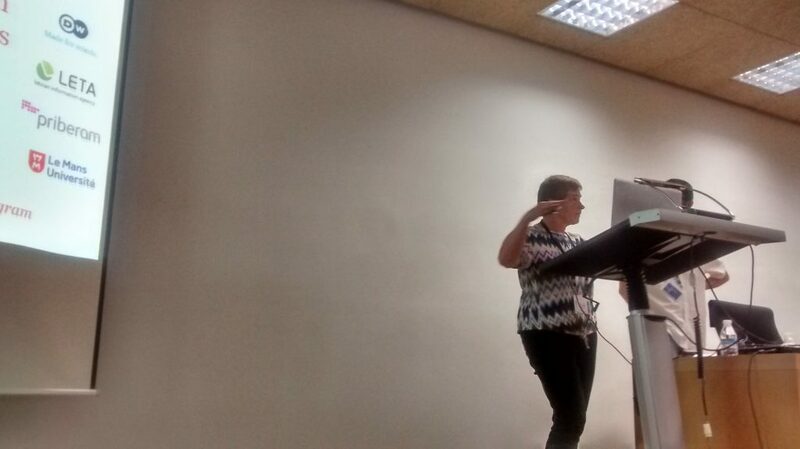 Ulrich Germann, Peggy van der Kreeft and Hina Imran of SUMMA participated in the EAMT (European Association for Machine Translation) conference on May 29th, 2018 in Alicante, Spain. EAMT is a conference where researchers, developers and users interested in Machine Translation and translation tools come together to share their findings. 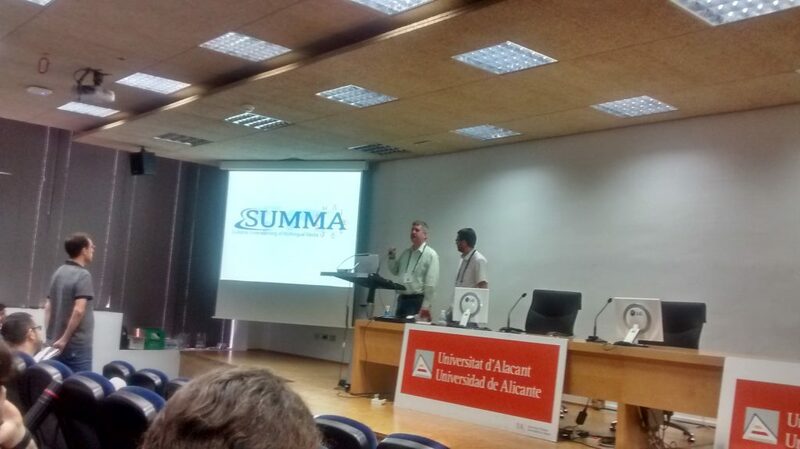 Ulrich Germann Presented SUMMA at the conference and Peggy van der Kreeft presented “news.bridge – Automated Transcription and Translation for News “. 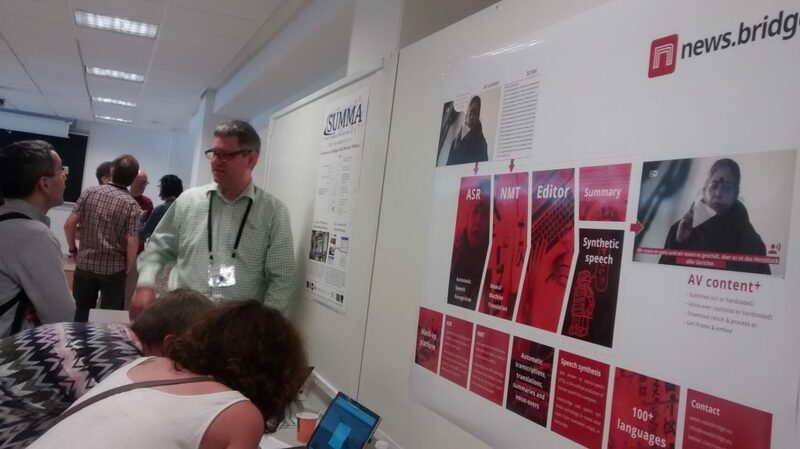 During the poster session, a joint stand of SUMMA and news.bridge was set up. 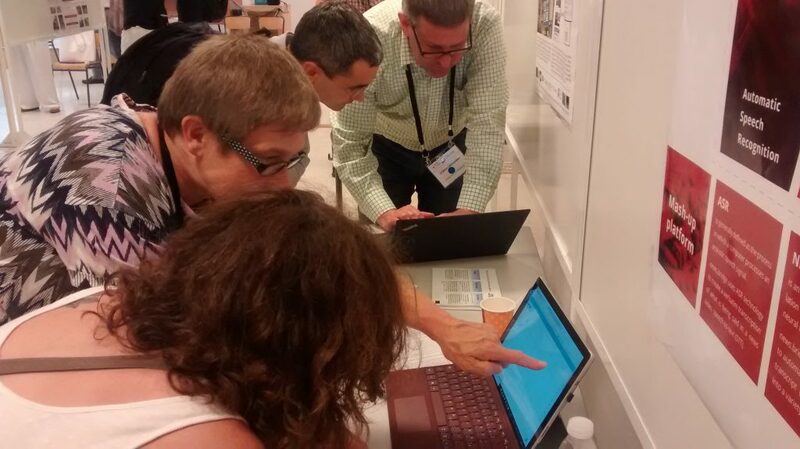 Conference participants queued up for live demos of both platforms. The MT community received SUMMA and news.bridge with a high level of interest.